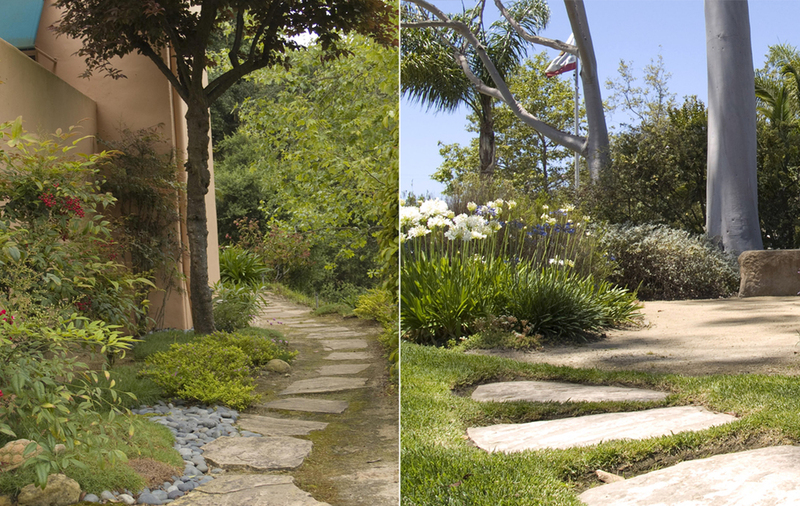 Straight, curved, meandering, flat or sloped, our walkways work with the environment to add function and beauty to any setting. 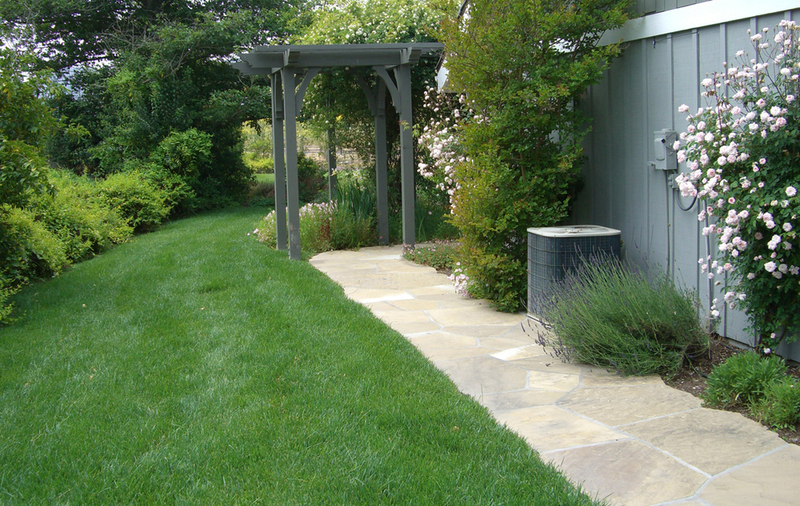 We build concrete sidewalks, natural paths, and paths surfaced with decomposed granite, flagstones, pavers and landscaping railroad ties. We build attractive walls for every purpose, whether to divide space, create a border or control erosion. 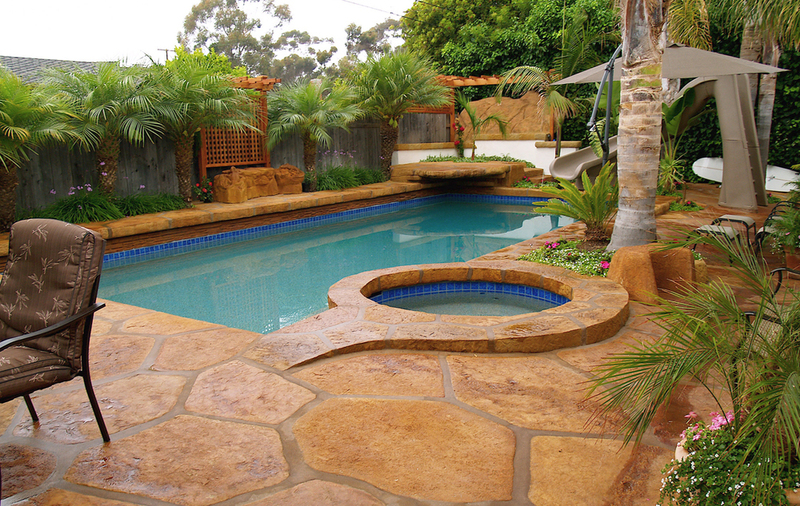 One of our specialties is reclaimed-concrete walls. We begin by using rubble diverted from the landfill to form the core of the wall, which is then coated with concrete and resin in a variety of designs. 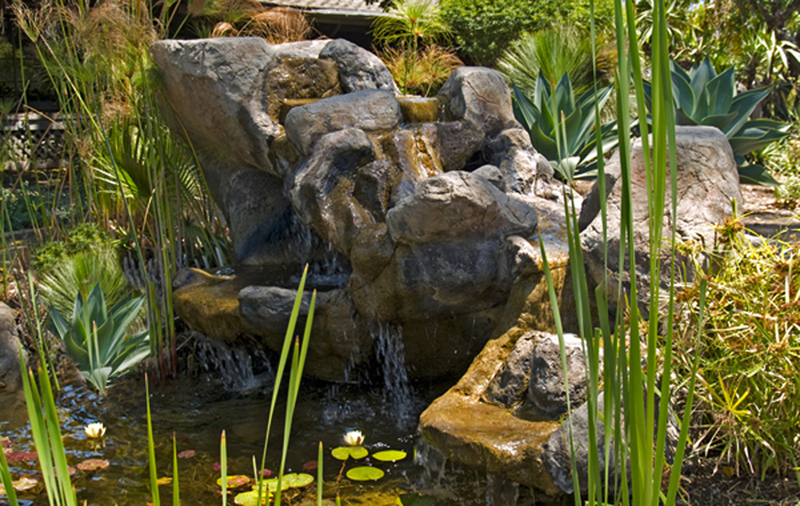 We are one of the few companies that employs a full-time specialist to create these custom walls, which add a dramatic extra element to landscapes of all kinds. 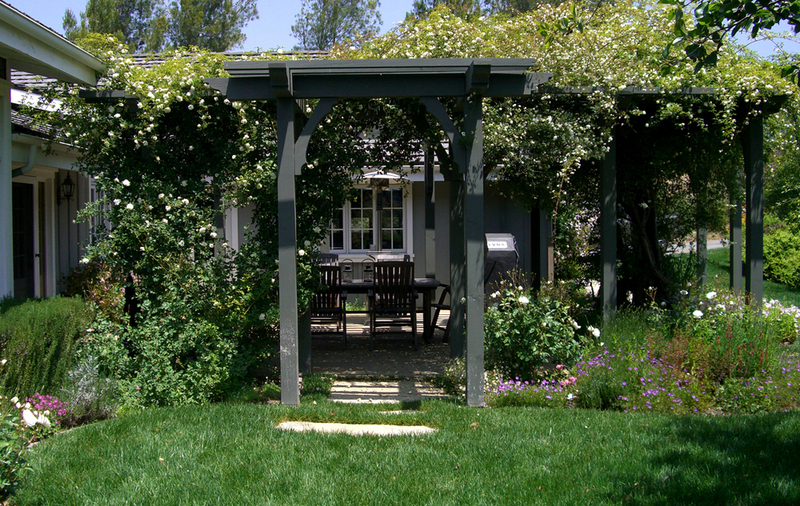 We also construct cinder block walls and others using landscape ties. 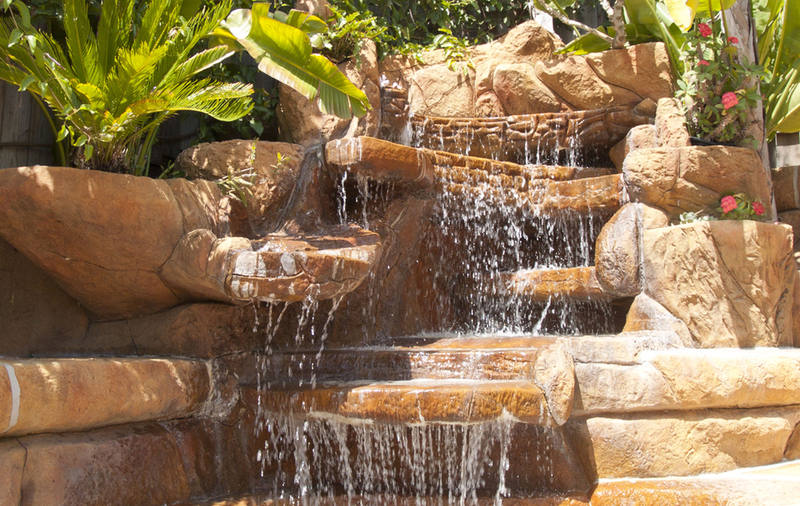 Not only do we build custom fountains and other water features, but we also install all the outdoor plumbing and all the electrical and lighting systems associated with them. 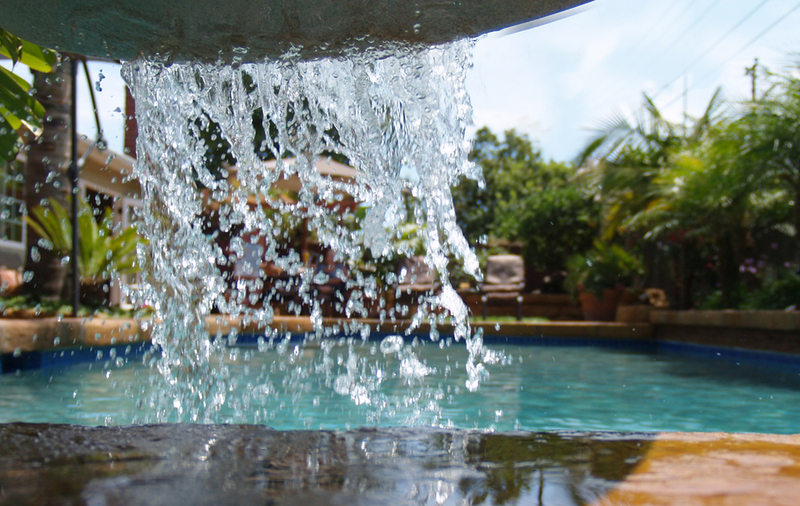 We also use eco-friendly ultraviolet lights in pools and fountains to alleviate the need for chemicals. 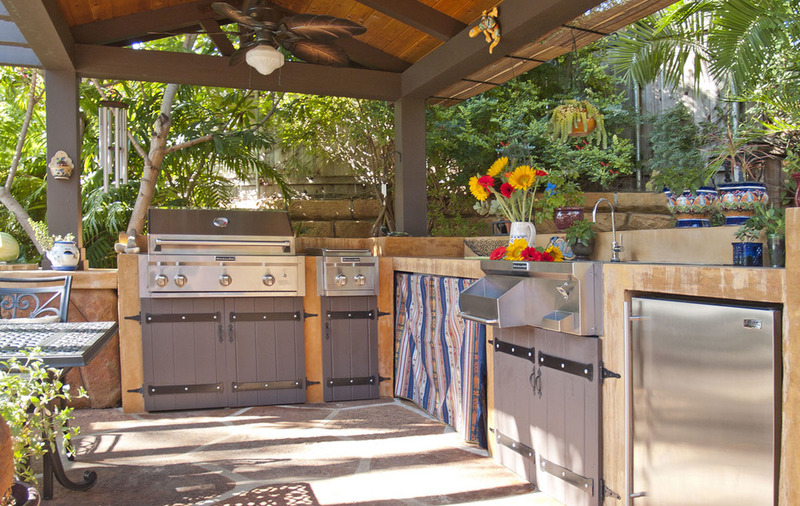 Southern California weather invites outdoor dining during much of the year, and a custom-built outdoor kitchen surrounded by attractive landscaping makes the experience even better. Lit up at night, landscaping takes on a new look, and pathways are made safer and more attractive. We install complete systems, leaving nothing for our clients to do but lighten up! Currently we contract out this work to woodworkers we trust and have worked with on many projects. For our clients, the result is a seamless connection between any and all woodwork and the rest of the project. And we stand behind the finished product just as we stand behind the rest of our work.